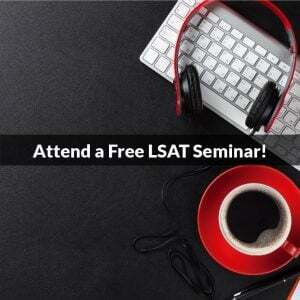 PowerScore LSAT Test Mentality Seminar. This is a seminar that Jon Denning and I did before a previous LSAT. We discuss test anxiety, how to create a stronger test mentality, and we even toss in a few neat mental tricks, too. Tom Brady and the LSAT. Easily my personal favorite blog post of all time. I refer to it frequently, and I think it tells a very relevant story for LSAT takers. The PowerScore LSAT Forum thread that spawned the above blog post. This epic thread details the conversation between Thomas—a PowerScore student—and myself. Thomas ended up increasing his score from a 143 to a 167, and our conversation began before he achieved that 167. At times we end up talking about other topics, such as application essays, but in the early portion you can see Thomas’ mindset isn’t ready to score highly, but through our discussion we were able to change his outlook, and ultimately his result. LSAT Anxiety and the Power of Positive Thinking. 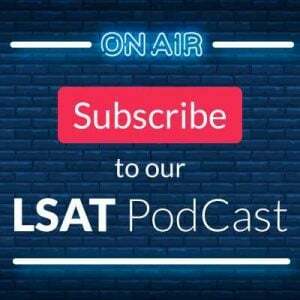 An excellent blog by Jon Denning on how to broadly view the LSAT in positive terms. The LSAT and the Power of Negative Thinking. Considering failure before it occurs has its benefits too, as Nikki Siclunov explains. And it isn’t every day you have a blog post that refers to the Stoics. The Benefits of Failure. Hey, everyone fails. In baseball, for example, the greatest hitters ever were only able to get a base hit 4 times out of 10, meaning that they failed 6 times out of 10. Failure is something you can learn from, and you should value the experience when it occurs. This article can change your perspective on a poor practice LSAT performance. Batman v Superman is you versus LSAC. After considering the benefits of failure, maybe it’s time to think like a superhero instead. Controlling Test Day Anxiety, NASA Style. How astronauts (who are real-life superheroes) overcome their fears and anxiety can help you as you prepare for the LSAT. Andy Murray’s Motivational Notes and the LSAT. The world’s top athletes have already keyed into the fact that their mentality is a critical part of their success. Even the best of the best need mental reinforcement during big matches, and this article explores the unique ways that tennis champion Andy Murray motivates himself. LSAT Test Mentality: Upgrade Your Brain. One of our PowerScore instructors discusses studies that show that how we think can create physical changes in the brain. So now you can literally become an LSAT superhero! The LSAT Wisdom of Johan Cruyff. LSAT insights from one of the world’s greatest soccer players, including “Speed is often confused with insight. When I start running before everybody else, I appear faster.” That applies very well to the LSAT, too! How to Increase Your LSAT Score Simply By Using Your Nose. The power of your mind is immense, and it works in concert with all of your senses. While smell isn’t a part of the LSAT (yet? ), this article shows how your innate senses are extremely powerful. Trust your instincts—they are usually going to be right. Bruce Lee: Enter the LSAT. To karate chop the LSAT you need to wisdom of martial arts legend Bruce Lee. Let the words of the master focus your mind and prepare you for victory. Mountain Climbing for the LSAT. Climbing a mountain without ropes or safety gear takes practice and concentration, which is also what you need when preparing for the LSAT. Every PowerScore LSAT blog on Test Mentality can be found here. Want even more? This link includes every PowerScore blog that addresses test mentality and approaching the LSAT in a positive manner. If I missed anything you think is relevant, please post it below and I’ll add it to the list. Thanks! Photo credit: “balanced stones 2” by Steve Hardy. Thank you for your books, courses and commentary. Slowly but surely I am starting to understand principals of LR. The resources that you have on your site are excellent. Sadly, I am lost with logic games. I am dyslexic and the ordering of the games are a nightmare. The principals of the games are exactly where my dyslexia manifests itself. Yes, I am practicing. A Lot. I do have a tutor. I do take the online prep class. With all of this help and time, the rules of the game still swim on a page. To further my point, the first results of the practice test in very low. The culprit of the low score comes from getting most of the answers wrong in the games. Based on the coming test date, I am wondering how you would suggest I spend my time getting ready for the test? Do I cut my losses and just work on LR and reading comprehension skills, knowing that with enough hard work I can do well in these sections? OR do I continue to try and understand how to play the games, knowing that it is highly unlikely that I will master the game section. Any thoughts on dyslexia specific learning strategies would be very helpful. There are a few things I’d do in your situation. First, apply for accommodations with the test. If you have a documented disability that is impacting your performance—and I’d say this qualifies—then you should apply. 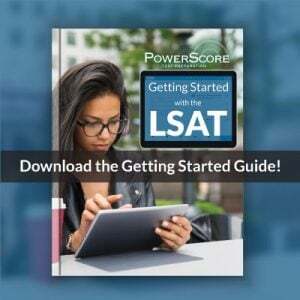 The basic info is here: http://www.lsac.org/jd/lsat/accommodated-testing and http://blog.powerscore.com/lsat/bid/271707/LSAT-Accommodations-Part-1-An…. Obtaining accommodations would allow you significantly more time per section, and fundamentally change how you are able to interact with the test, so this is where I’d start, and I’d make this a top priority. If you can obtain accommodations, then you will have the time to do LG properly, and you can slow down and work through the games properly. Iif you don’t gain extra time, then what would do is work on identifying the game type that is easiest for you, starting off each section by looking for games of that type, and then doing those games as slowly and accurately as possible. You may only get through two games with this strategy, but if you can score reasonably well on those two games, and then guess on the remainder of the questions, you should break 50% on LG. That would allow a better performance on LR and RC to lift you up. Are you working with a PowerScore tutor? If so, I will talk to them about prep options and strategies specifically for you, so please let me know. Thanks! Thanks for the resource, Dave! It’s greatly appreciated for someone like me who is prepared for the test, but has to get over the nerves to perform my best. Great, I’m so glad to hear it helped! Hi Dave. Retiring in a few years at 57. Want to attend law school. Is there a book you are aware of with assumption problems, exclusively, for the purpose of practicing? It contains segmented sets of questions of all LR types, including a chapter on Necessary Assumption and one on Sufficient Assumption (Justify).